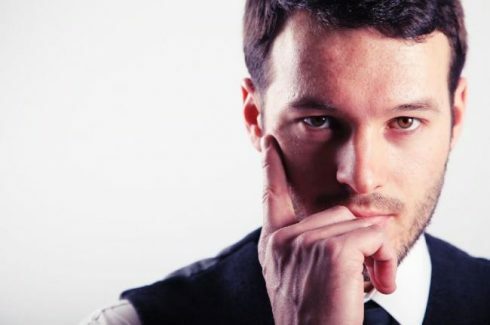 World renowned as a master of mind reading, Aaron Calvert's incredible act has to be seen to be believed. Regarded as one the UK's top mind readers, Alex Crow's incredible performances often explore previous lives and hints at the supernatural. Their spine-tingling harmonies and stylish shows make Andante must-see. Simply a superb Male Vocal Crossover group. Portuguese singer, musician and artists Andre Cruz travels the world wowing crowds with his passionate and energetic one man show. 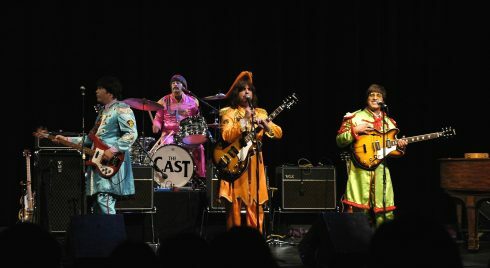 Beatlemania is firmly established as one of the worlds’ leading Beatles tribute acts and boasts over twenty years’ experience. 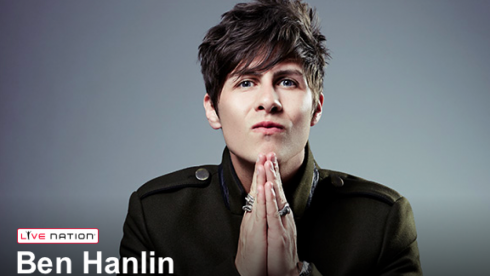 Magic's rising star and a master of sleight of hand and stage magic, Ben Hanlin's polished performances make him a must-see. Best described as a dynamic guitar vocalist, Ben Moss has the passion and personality of an unmissable headline act. Incorporating elements of theatre, pop music and opera, Braxi's incredible vocal crossover show has won them rave reviews the world over. 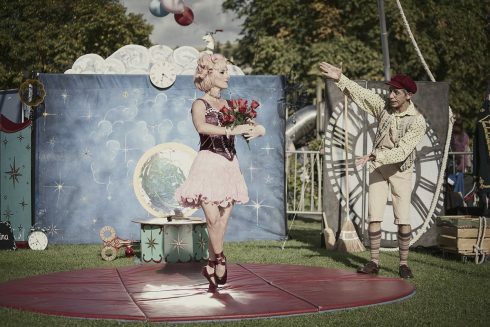 The charm of the circus lives on and Circle of Two deliver the energy and entertainment of the big top with every performance. 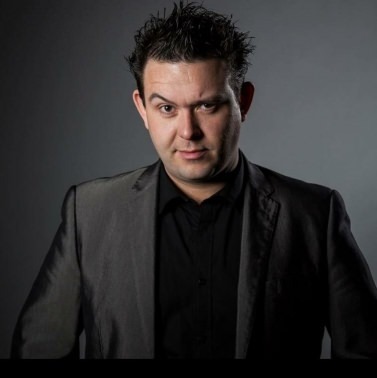 Combing contemporary magic, psychological illusion and humour, Craig Stephenson is one of the UK's biggest talents. 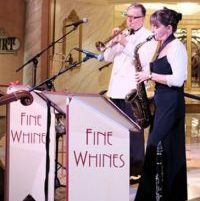 Fine Whines are a vintage jazz duo who ooze class and create incredible music using a sparkling array of instruments. Bringing classical music to a new generation, Hercules Smith is a quintessential classical crossover act with an unmistakable voice. A star of television and the Royal Variety Show, Jay Mcgee is one of the country's finest working comedy vocal impressionists. JOANovARC are an all-female, all-action Rock N Roll act who are famous for their fierce festival performances and incredible theatre shows. JunNK's award winning comedy music show combines spellbinding A Capella, captivating percussion and mesmerising gymnastics. With a career spanning over 12 years there's not much Leeds based DJ & Love Not Money Records owner Luke Pompey hasn't already achieved. An expert in illusion and close up magic, Max Francis certainly knows how to steal the show with his mesmerising magical performances. 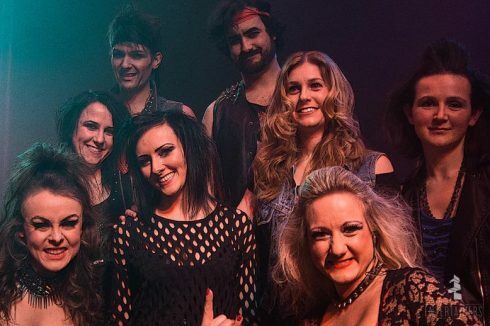 Featuring some of the most powerful rock voices of all time, One Night of Rock is much more than a tribute show - this is rock music at its very best. 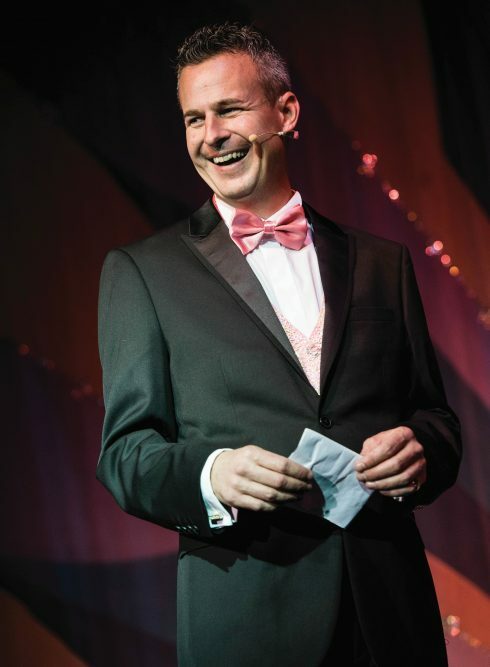 Born to perform, Paul Eastwood has been wowing crowds for over 20 years as an enormously entertaining comedian and presenter. Saxophonist with style Spencer is sure wow with his soulful performances. 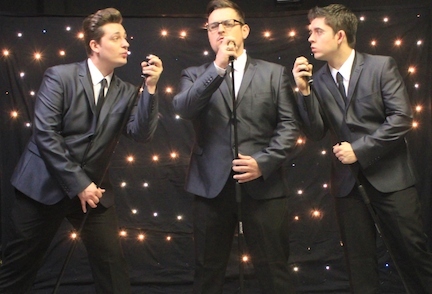 Taking inspiration from groups such as The Temptations and The Overtones, The Base Tones are a phenomenal three piece vocal harmony group that are taking theatres by storm. 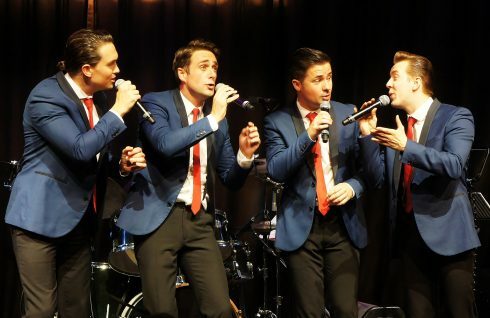 Taking the hits of Frankie Valli and the Four Seasons to adoring audiences around the world, The Eastcoast Boys deliver incredible entertainment with every single show. 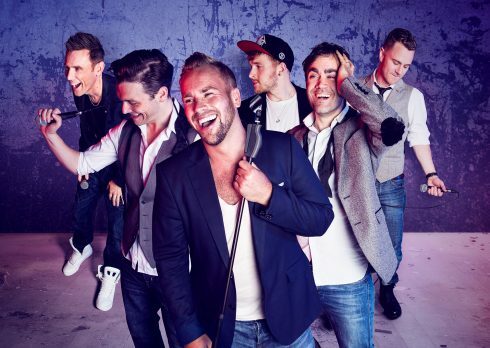 Combining glorious harmonies, virtuosi beatboxing and a touch of Britsh charm, The Magnets are true A Capella stars. Starring performers from London's West End, Masters Of The House is a rousing tribute to some of the most iconic musicals ever made. 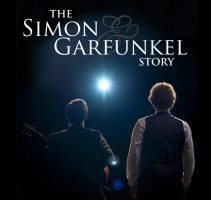 The story of Simon & Garfunkel's incredible career has been enchanting audiences around the world, culminating in this unmissable show. 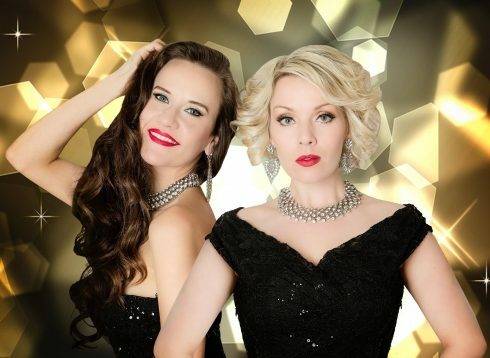 Combining powerful vocals, beautiful harmonies and Celtic charm, The Sirens deliver class, sass and Hollywood glamour in abundance. Merging opera and rock with outstanding vocals and incredible harmonies, Voxx are a classical crossover act with a difference. We3 are the UK's only all vocal three piece A Capella Rock and Pop group, bringing together three truly magnificent voices. Aaron Calvert is a master in the field of mind reading and hypnosis. His 2016 debut show, and his most recent “Awaken” shows were both sell out successes. 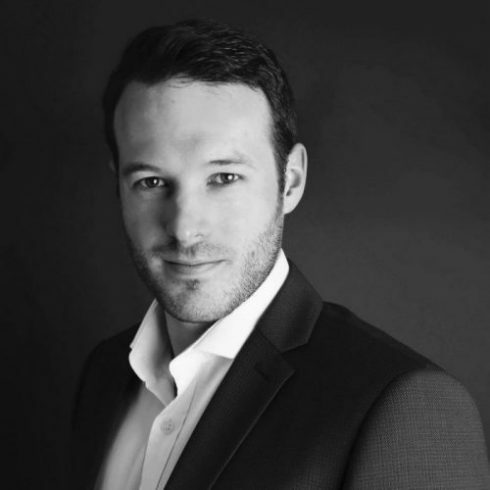 Aaron started off training to be a doctor and qualified in 2015 from the University of Nottingham, however after qualifying he choose to leave the medical field to pursue mind reading and hypnosis. Aaron’s show can be adapted to suit a variety of audiences and venues including theatres, cruising, corporate and private events. 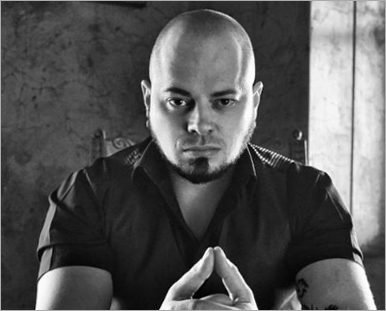 “Astounding mind reading & fascinating hypnotic feats await in Aaron Calvert’s 5 star show”. 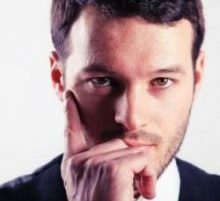 Signed to Peel Talent Agency, Alex Crow is regarded as one of the top UK mind readers. After leaving the London Metropolitan Police Force, Alex dedicated himself to perfecting his craft and ensuring he is at the top of his profession. 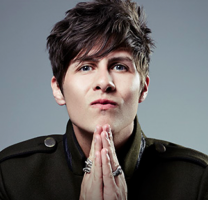 Alex’s show is delivered in an interactive cabaret style, his performances often explore previous lives and hints at the supernatural, leaving audiences stunned and amazed. Alex Crow is a true showman and guarantees to make your event memorable, he is available in a variety of formats including cruising, theatres, corporate and private events. Take a look at this video from one of his performances, and watch the audience’s reaction. 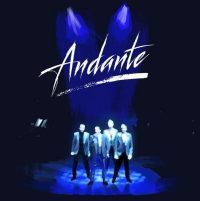 Andante feature the voices of four immensely experienced and talented solo performers who come together to produce spine tingling harmonies and a stylish show full of charm and panache. 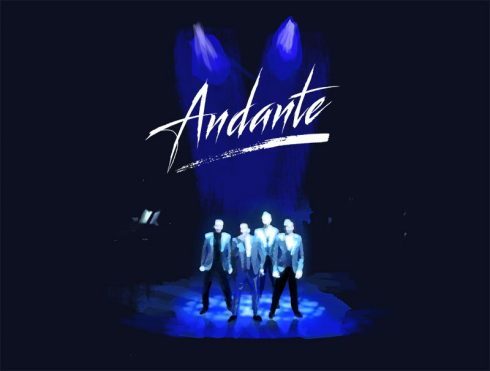 Andante are an outstanding act and are available to suit most budgets, venues and occasions, including cruise, theatres, cabaret, corporate and private events. 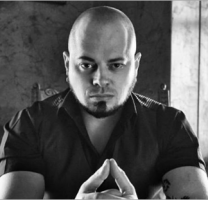 Andre Cruz was a contestant in the 2012 talent show Idols, finishing as second runner up. 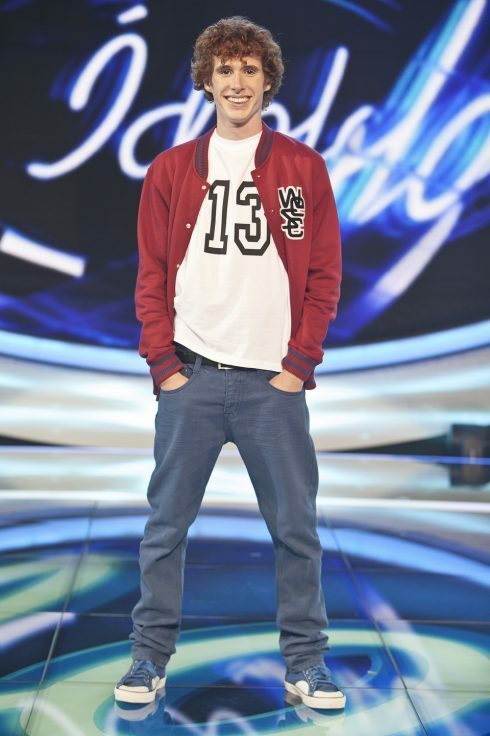 Following on from Idols Andre began working with the Disney channel as the voice of Phineas and Ferb and Camp Rock. Andre plays the title role in the award winning production of “Jesus Chris Superstar” In Lisburn, Portugal yearly. Andre’s show is a passionate and energetic one man show, featuring some of the most iconic music from across the ages, including Prince, Ed Sheeran, Michael Jackson and Frank Sinatra to name a few. 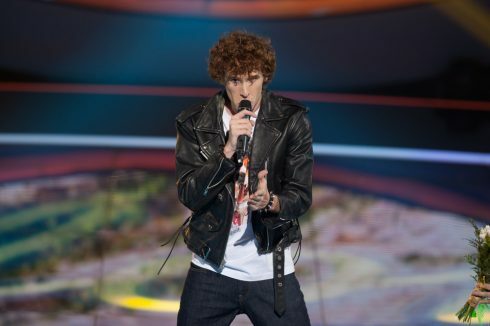 Andre is a talented musician with the ability to play a variety of instruments including the piano and guitar. He is also multi lingual speaking 4 languages. Andre’s show can be adapted to suit a variety of audiences and venues including theatres, cruising, corporate and private events. 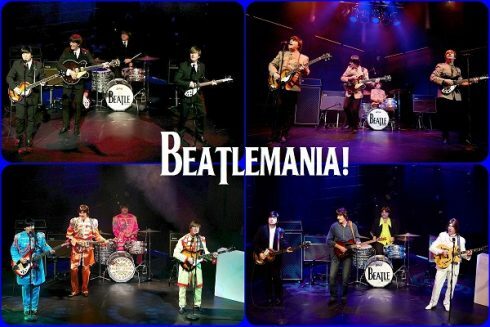 Beatlemania is a critically acclaimed Beatles tribute show which performs throughout the UK and worldwide. 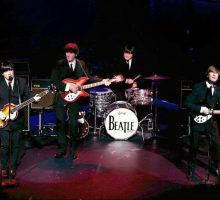 Beatlemania is firmly established as one of the worlds’ leading Beatles tribute acts with over twenty years’ experience and performs throughout the UK and internationally to thousands of people every year. 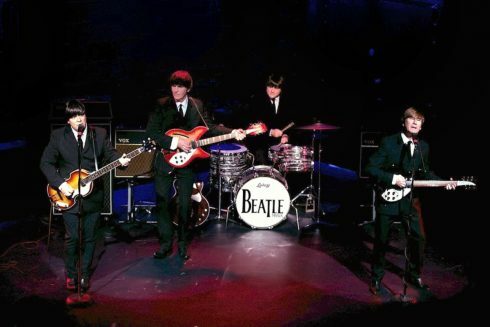 Beatlemania is a truly outstanding act. Available to suit all venues and occasions including cruise, theatres, corporate and private events. 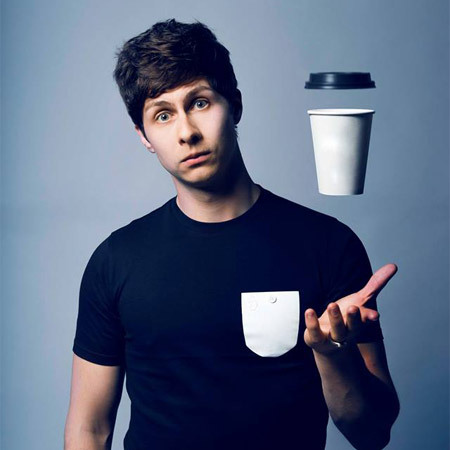 Ben Hanlin is a UK magician and has spent the last 10 years performing and perfecting his sleight of hand and stage magic at events in the UK and globally. Ben started out creating content for his YouTube channel “MagicBoyTV”. This led to his first show, aired in 2010 “Magic Boy Finds”. Magic Boy Finds sees Ben performing his fresh style of magic to celebrities such as David Hasselhoff, Ed Sheeran, John Bishop and many more. 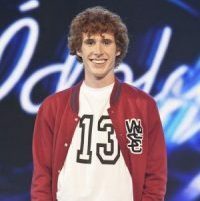 In 2012 Ben starred as a presenter on CBBC, he then moved on to become one of 4 magicians starring in Breaking Magic, a show produced for the discovery channel. Most recently Ben is the writer and producer of the ITV2 show Tricked. Tricked is currently in its third series and won “Best entertainment programme” at the Broadcast Digital Awards in 2014. Ben’s show can be adapted to suit a variety of audiences and venues including theatres, cruising, corporate and private events. 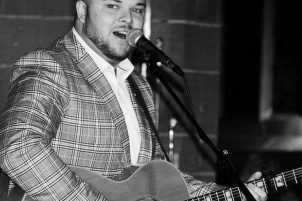 Ben Moss is a talented headliner vocalist and guitarist, his amazing voice, engaging personality and passion is part of what give his “tributes” show standing ovations every night. Bens show features music from across the decades including Neil Diamond, George Ezra, Michael Buble and Frank Sinatra. Ben is available in a variety of formats including cruise, shows, residency engagements and private and corporate functions. Brandi and Max Himmelreich are Braxi. They are a musical duo performing classical crossover pop music with theatrical influences, delivered with a passionate flair. Their shows integrate elements of theatre, pop music and opera entwined together and executed flawlessly. Braxi’s upcoming album has won first place at the unsigned only song writing competition and second at the UK song writing contest. Defeating 16000 entries to win the award. Brandi was the first winner of the Dutch popstars TV show and Max was involved with the all male acting group HELT. Braxi are available in a variety of formats including festivals, cruise, shows, residency engagements and smaller private functions. Circle of Two are an international circus duo formed in 1999 by Celia and Ralph. Celia and Ralph graduated from the Central School of Speech and Drama and the Circus Space in London in 2001. Circle of Two are available in a variety of formats including cruising, theatre, festivals and private events. “It is always a great pleasure to watch these two supremely professional artists at work. 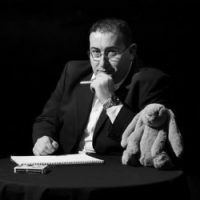 Craig’s productions are an exciting mixture of contemporary magic, psychological illusion and humour. He has written and performed in various magic shows both in the UK and globally including Los Angeles and the Middle East. Craig is a regular at both the Edinburgh Fringe Festival and the Great Yorkshire Fringe. Craig’s shows are always a sell out and he earns praise from audiences and industry professionals alike. 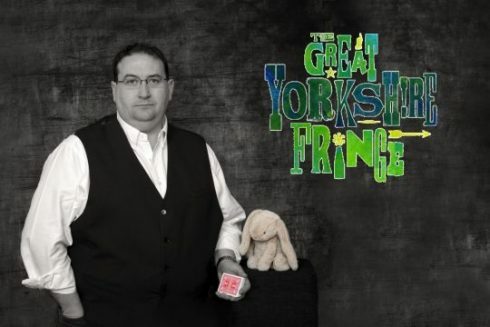 Craig is a regular guest for BBC Radio York and is an active member of the Magic Circle. 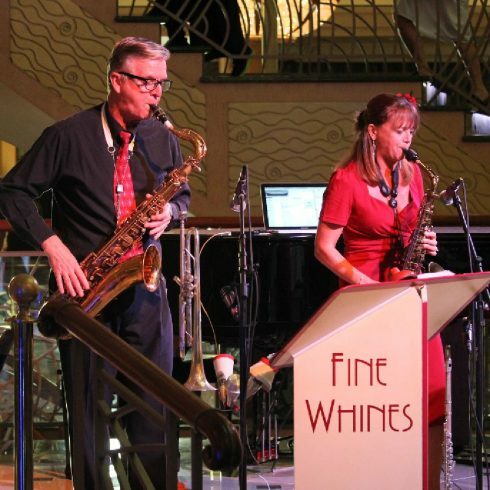 Sue and Chris Willis met whilst playing together in a British Army band of which he was Director of Music. Chris sings, plays trumpet, tenor sax, and trombone; Sue plays all woodwinds from piccolo down to baritone sax. The sparkling array of eight instruments with vintage style music stands and costumes gives a memorable and classy presentation. Utmost attention is paid to playing at a volume appropriate to the event. 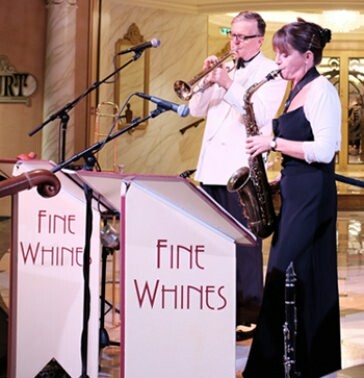 In addition to their foundation repertoire of Swing, Dixieland, and American Songbook, they embrace more recent works, which include The Beatles; Carpenters; Bacharach & David; Herb Alpert; as well as Latin-American and classic Christmas songs Fine Whines are available in a variety of formats including cruising, theatre, private and corporate events. Hercules is a South African born Spinto Tenor, Hercules has been honing his craft since the age of 5, when he discovered the music of his idol, Pavarotti. 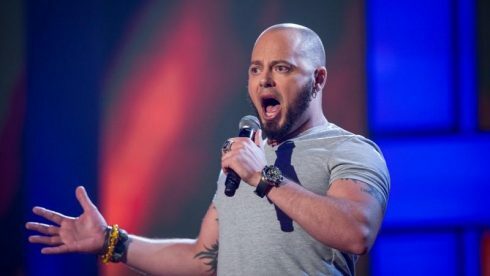 Hercules was the 2012 winner of the European Voice Competition and has gone onto appear on Sky Sports, BBC’s Let it Shine and the South African show Noot vir Noot. Hercules is quintessential classic crossover and appeals to international audiences, his most popular hits are “I Believe” and “Parla Piu Piano”. Hercules’s show can be adapted to suit a variety of audiences and venues including theatres, cruising, corporate and private events. Iona Fisher is a young mezzo soprano with a beautifully unique voice. 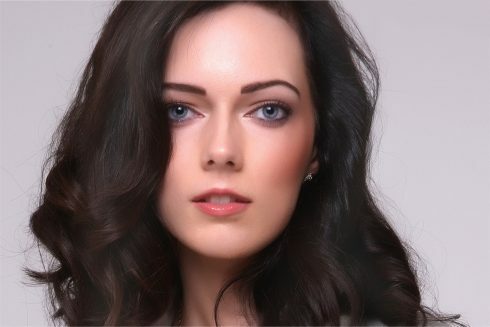 Iona trained at the Royal Northern College of Music and sings in seven languages; she has performed with various orchestras and military bands across the country. 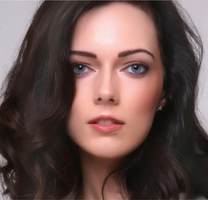 Her wide repertoire includes classical crossover and contemporary, including musical theatre. Jay McGee is a comedy vocal impressionist with a unique style; Jay’s versatility allows him to captivate any audiences from families to corporate to cruising. Before moving into comedy Jay was the lead singer of the Rockin’ Berries, he then moved into comedy and perfected his show. “This is the first time that we have seen Jay when we were on the Azura in February 2017, what a fantastic show, the best night’s entertainment we have had for a very long time. Well done”. 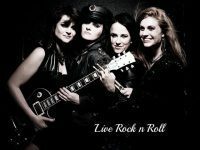 JOANovARC are an all-female Rock N Roll act hailing from London and the Home Counties, JOANovARC’s status as the new “queens of rock” is about to rise with their debut album released late 2017 through red vixen records. Some of JOANovARC main headlines include Camden Rock Festival, the Harley Davidson Thunder in The Glens festival, and Hard Rock Hell to name a few. They have played alongside artists including Adam Ant, Bad Company and Toploader. JOANovARC are available in a variety of formats to suit most budgets, venues and occasions including cruise, theatres, cabaret, corporate and private events. 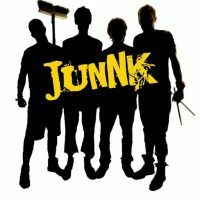 JunNK are a highly talented, award winning music and comedy group that’s proving to be a massive hit all around the world. JunNK use various items commonly found in a junkyard as their foundation, energetically combining superb A Capella singing, captivating percussion, innovative musical creation and mesmerising gymnastics to produce a unique, lively and entertaining show for all. JunNK were awarded the “Spirit of the Fringe” award from the 2016 Edinburgh Fringe Festival and “Act of the Year” in 2013 from The Event Awards. JunNK are adaptable to a variety of venues including cruising, theatres and festivals. With a career spanning over 12 years there’s not much Leeds based DJ & Love Not Money Records owner Luke Pompey hasn’t already achieved. He graced the decks at Ibizan super club Cream Amnesia at just 18 years old then 2 years later supported Tiesto when Galaxy FM invited him to play Privilege. He’s played to crowds in excess of 10,000+ alongside the biggest names in the industry, had his productions supported by the likes of Carl Cox, Jamie Jones, Erick Morillo, Soul Clap and Pete Tong who featured his both his remix of Dennis Ferrer’s “Hey Hey” and Real Nice & Cubiq’s ‘Had Enough’ on the Radio 1 essential selection. 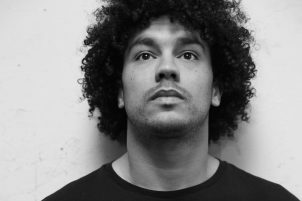 Residing in Leeds, home to the UK’s most vibrant clubbing scenes, he’s held a long standing residency at the cities most established club, Mint Club. Playing for Mint has offered some amazing opportunities playing back2back with both The Martinez Brothers & Style of Eye and touring various brands at Festivals such as Glade, Glastonbury, Creamfields & Secret Garden Party. As owner of ‘Love Not Money Records’, in a short space of time he’s turned the label in to one of the House scenes most talked about new music outputs. Since launching late 2011 the label has already found it’s feet among the dance elite. Releasing over 100 tracks alone last year. Now close to their 50th release they’ve gained support worldwide on BBC Radio 1, Capital FM and Ibiza Global Radio. Racking up 15 Beatport top 100’s along the way. 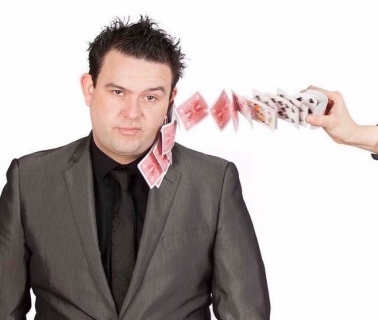 Max specialises in stage illusion and close up magic. Max continues to amaze and impress people with his magic, showmanship, charm and his warm personality. Max spent a number of year’s abroad working as a resident magician for Thomas Cook, he later created “Comedy & Magic with Max Francis”, this show was performed to hundreds of holiday makers every week. Whilst abroad he also worked the Power FM roadshow as the resident magician covering all seven Canary Islands. 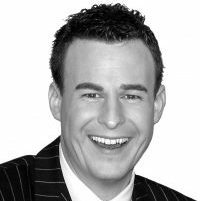 He returned to the UK in 2009 and has since worked with a number of large corporate clients including, BBC, Aston Villa Football Club, Harvey Nichols and Grosvenor Casino to name a few. Max’s show can be adapted to suit a variety of audiences and venues including theatres, cruising, corporate and private events. 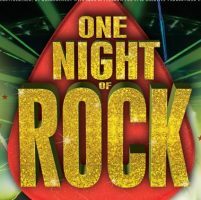 One Night of Rock features some of the most impressive and talented rock voices of all time. Together with their award winning band this high energy show delivers a rock experience like no other. A spectacular show which is a homage to some of the most iconic rock stars in the world including Queen, Guns & Roses and The Rolling Stones to name a few. The performance also features some impressive visuals including an exhilarating laser show, stunning costumes and spectacular staging. Suitable for theatres, cabaret, corporate and private events. 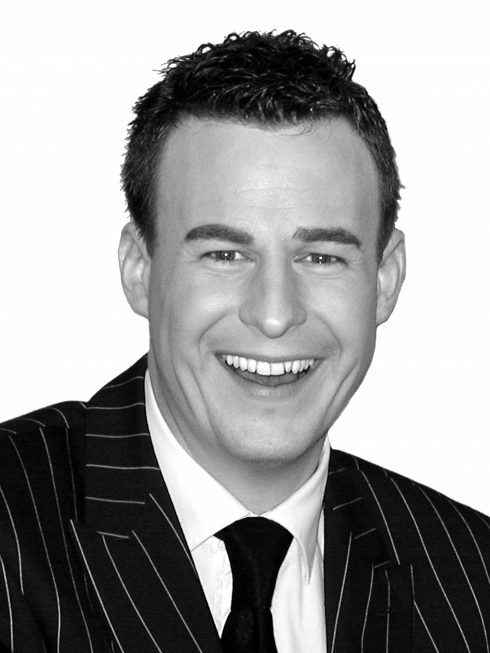 Paul Eastwood is a seasoned comedian and presenter, with over 20 years’ experience in the entertainment industry. 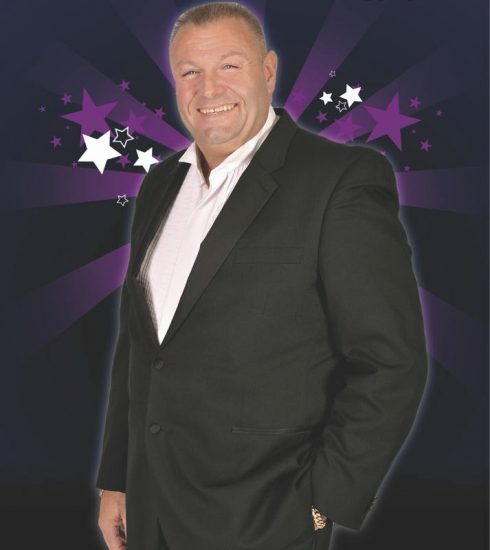 Paul is constantly in demand for corporate events and product launches as well as cruises and holiday venues. He’s also proved popular as a host at sporting events and as a warm up act for TV shows, recently working on ITV’s Loose Women. 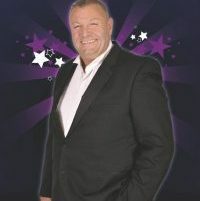 A natural performer, Paul can always be relied upon to deliver a polished and entertaining show. 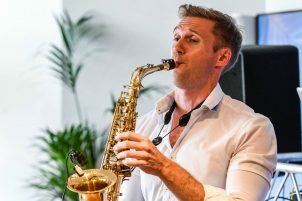 Spencer graduated from the Royal Northern College of Music in Saxophone performance – He was awarded the International artist diploma and subsequently was invited to study chamber music at the college for a further year as part of the award winning Absolution Saxophone Quartet. The Base Tones are a fresh new 3 piece vocal harmony group. The base tones were formed in 2014, prior to this each member of the band has extensive theatre and production experience, ranging from TV, Theatre production, Holiday centres, cruise and pantomime. 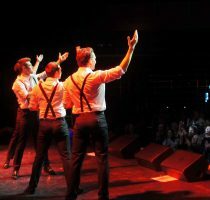 The Base tones take inspiration from groups such as The Temptations, Frankie Valli and The Four Seasons and The Overtones. The Base tones have taken vocal harmony and pared it with stylish movements and a touch of 1950’s charm. The base tones show can be adapted to suit a variety of audiences and venues including theatres, cruising, corporate and private events. 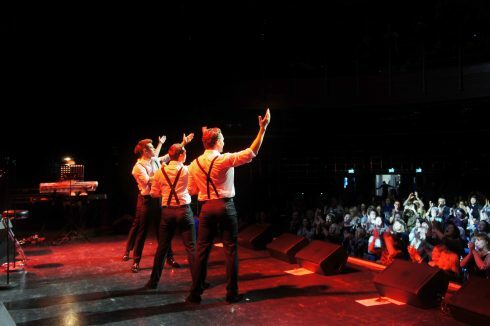 The Eastcoast Boys are the UK’s number one tribute to Frankie Valli and the Four Seasons, who first hit the music scene with the classic hit “Sherry” in 1962 they went on to have worldwide success with hits such as “My eyes adore you”, “Big girls don’t cry” and “Grease is the word ”, the theme song to the smash hit film “Grease”. The Eastcoast Boys put on a truly magnificent performance, replicating the Four Seasons trademark pastel coloured jackets and taking you on a journey through their hits. 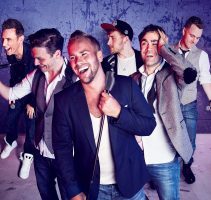 Big Girls Dont Cry and The Eastcoast Boys are available in a variety of formats to suit most budgets, venues and occasions including cruise, theatres, cabaret, corporate and private events. 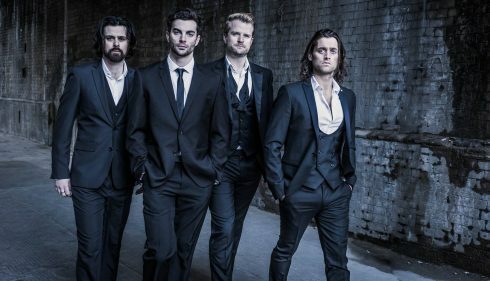 The Magnets are true A Capella stars, they have combined glorious harmonies, virtuosi beatboxing and a touch of British charm to become a must see act within the international music scene. The Magnets have 15 years’ of touring experience and have performed globally in countries such as Australia, The USA, Europe and South Africa; they also have the ability to present their show in multiple languages. Some of the shows the Magnets have been featured on are GMTV, MTV, Radio One and Parkinson. They have also supported Blondie, Tom Jones and Bryan Adams on tours. This show is available in a variety of formats to suit most budgets, venues and occasions including cruise, theatres, cabaret, corporate and private events. The Masters Of The House is an evening of performances from the world of musicals, featuring former headline stars from some of the best and most critically acclaimed West End musicals, including Les Miserables, Evita and Phantom of the Opera. The Masters Of The House have been performing globally for over 16 years and are renowned for their superb vocals and entertaining presence, delivered by some of the most acclaimed theatre artists of today. “This is a quality show with a quality cast. We have had the show regularly in our programme for some years now and every time it is a sell-out. The Masters Of The House has a proven track record and I would have no hesitation at all in recommending It”. 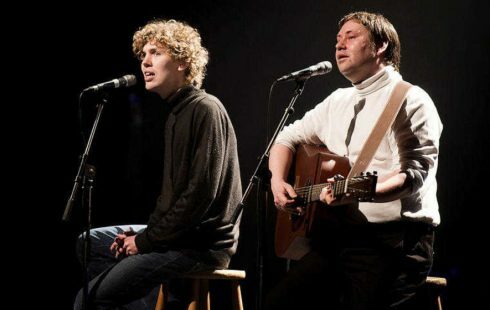 The Simon & Garfunkel Story is a critically acclaimed concert style show taking audiences through the story of Simon & Garfunkel’s incredible career. 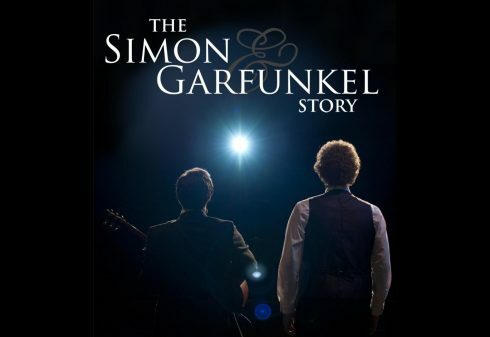 Using state of the art video projection, incredible lighting and a full live band “The Simon & Garfunkel Story” is a moving and powerful concert featuring all of the hits such as Mrs Robinson, Cecilia and Bridge Over Troubled Water. 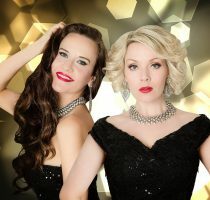 Established international performers Maria and Nicola have combined their talents to form glamorous headline act The Sirens. The Sirens have wowed audiences on major Cruise Lines and at prestigious cabaret and corporate events worldwide. Originally from Ireland and Scotland, this irresistible duo combines powerful vocals and beautiful harmonies with Celtic wit and charm that evokes audience participation. Based in the UK, The Sirens are available to travel worldwide and have full band and orchestra charts. 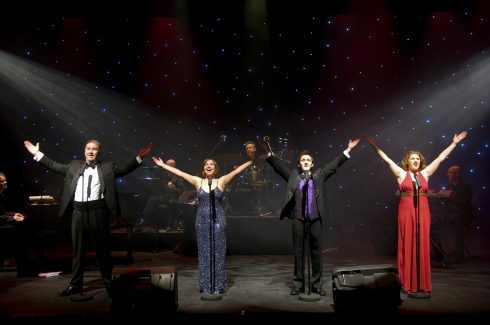 Their repertoire incorporates unique musical arrangements of standard and contemporary songs paying homage to Bette Midler, Beyoncé and Adele. As well as performing covers, Tom is currently writing and recording his first release, ‘Let’s Get Lost – EP’. Years in the making, the release of the EP is looking to be quite soon as the recording process is currently coming to a close. 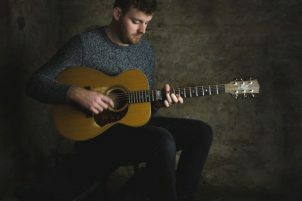 Taking inspiration from a diverse range of artists, Tom’s original material has taken shape in a similar style to James Bay, Ed Sheeran and James TW. Based mainly around an acoustic foundation, Tom’s songs are brought to life by his band to become full and rich sounding tracks. Tom is known for being an acoustic artist, but he is also proud to work with several different musicians who join him to form his Duos, Trios and Band. The line ups of these acts are constantly changing, but whoever joins Tom always adds something different to his sound. In most cases when joined by others, he’s joined by a keyboard player or an electric guitarist, sometimes both. In any case, these performers are all brilliant and bring another dimension to Tom’s sound. 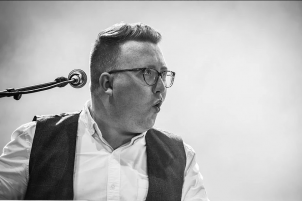 Fresh from his sell-out “Let The Good Times Roll” Tour – Tom Seals, “quite possibly the future of Jazz/Pop”, literally has the world at his fingertips. 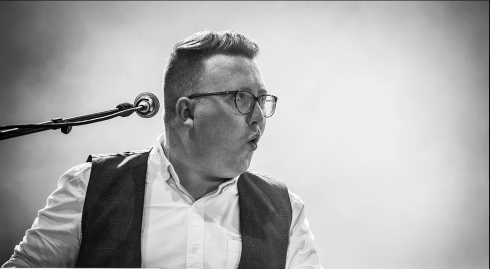 His virtuoso solo-ing, excellent improvisation skills as well as a distinctive voice have left top industry officials hailing him as one of the UK’s finest Blues/Boogie-Woogie piano/vocalists. Voxx are a classical crossover group merging opera and rock with outstanding vocals, harmonies and world class performers. Voxx is made up of 4 of the finest male voices in the UK today; all members have either West End or No. 1 tour credits. 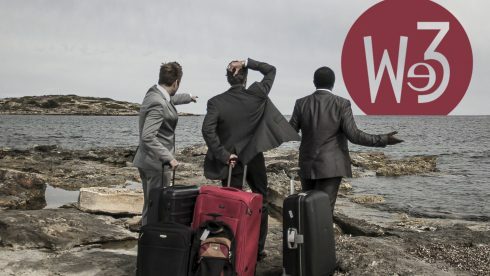 The concept of Voxx was created in 2014 by Michael and Adam and combines their love for the classical sound with a dynamic and truly original show featuring a mixture of music including Puccini, Michael Jackson, Josh Groban and everything in between. Voxx’s show can be adapted to suit a variety of audiences and venues including theatres, cruising, corporate and private events. 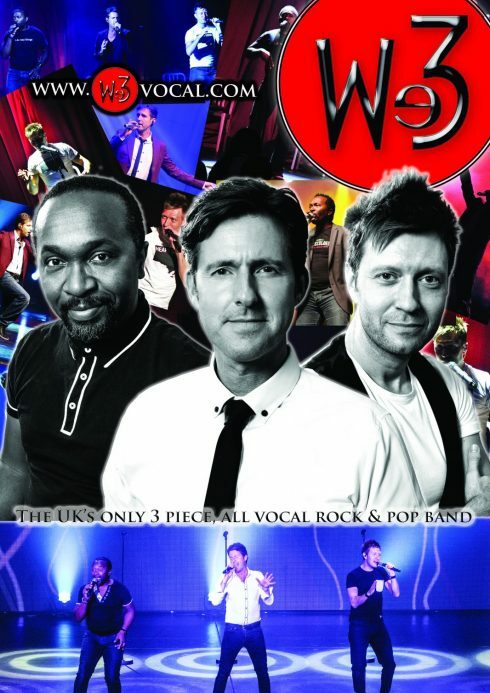 We3 are the UKs only all vocal three piece Rock and Pop group, they bring together three magnificent voices, blended with extraordinary versatility, repertoire, range and style, leaving audiences mesmerised. Their performance includes rock songs, modern pop, jazz favourites, soul classics and some original material. As well as touring the world, We3 featured in a highly popular T-Mobile advert generating over 16 million YouTube hits. We3 have entertained and toured alongside the likes of Queen, Tom Jones and Bryan Adams. We3 are available in a variety of formats to suit most budgets, venues and occasions including cruise, theatres, cabaret, corporate and private events.